Just popping in very quickly to let you know that my Color By Kristin Wool/Mohair/Alpaca is now on sale at Webs. 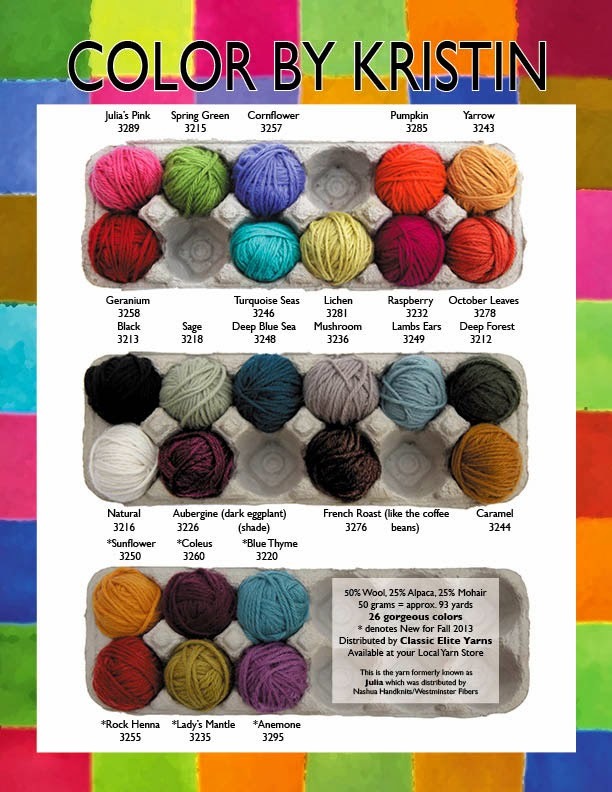 Hop on over to check out all the beautiful colors and plan your next knitting project. 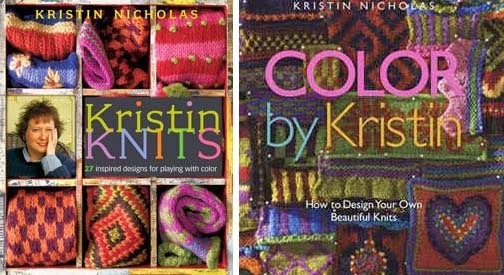 Perhaps you own my books Color By Kristin and Kristin Knits and have been dying to make one or two of the projects. Here's your chance to purchase at a great discount. The two books are available signed in my web shop. If you are thinking anything at all about knitting with this lovely blend, I urge to purchase it now because it may never be available again. Just saying! Again - here is the link. So happy that you've found homes for all those cuties. Darn, darn, and darn. Your yarn has always been my favorite. I'm sorry if it is going to become unavailable again. I purchased your book 50 Sunflowers to knit, crochet, and felt last week at Strand bookstore in NYC. I love it! I look forward to embellishing my knitting, crocheting and felting projects, and my home with the beautiful sunflowers!